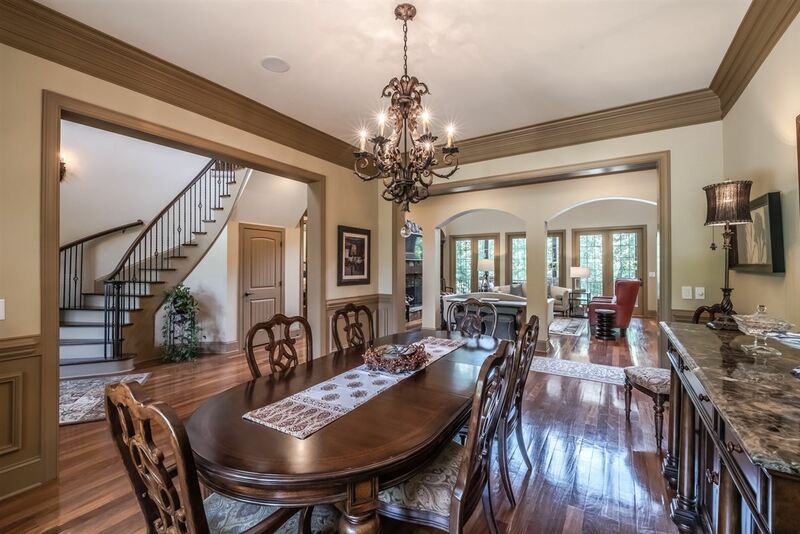 This stunning custom home sits on a quiet cul-de-sac in the gated community of Woodhall. 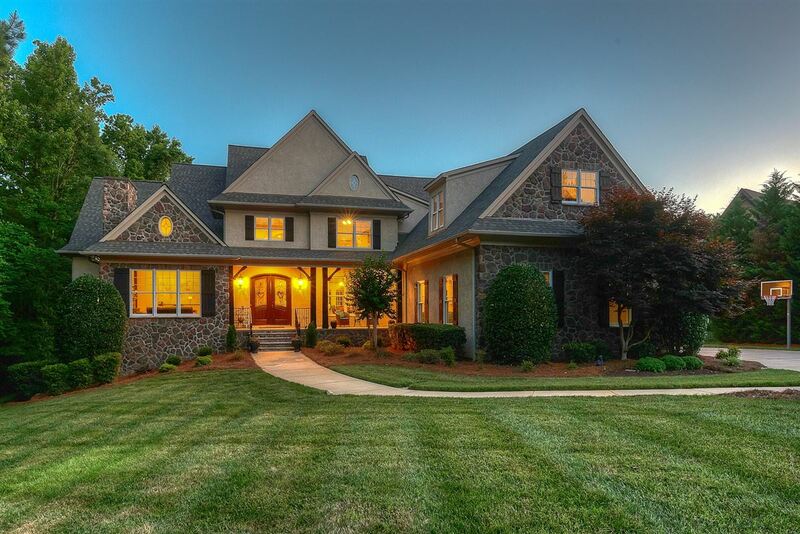 The 7,621 sq ft home sits on a very private two acres and has six bedrooms, nine bathrooms. A spectacular resort style salt water pool and spa are just steps off the back covered terrace. 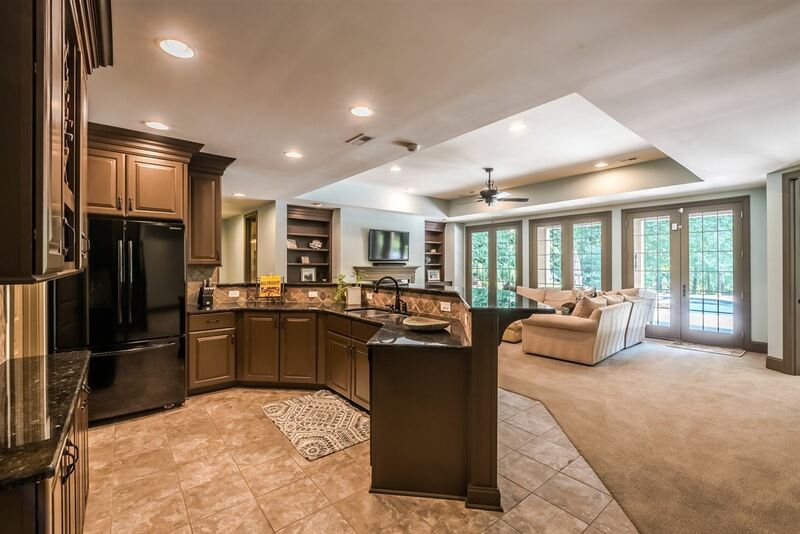 The expansive open floor plan allows plenty of room for entertaining. 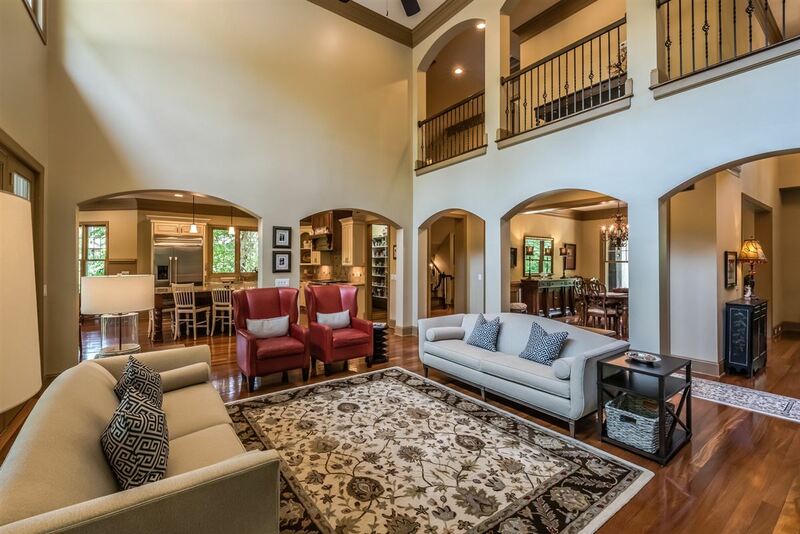 A two-story grand foyer with curved staircase welcomes guests. 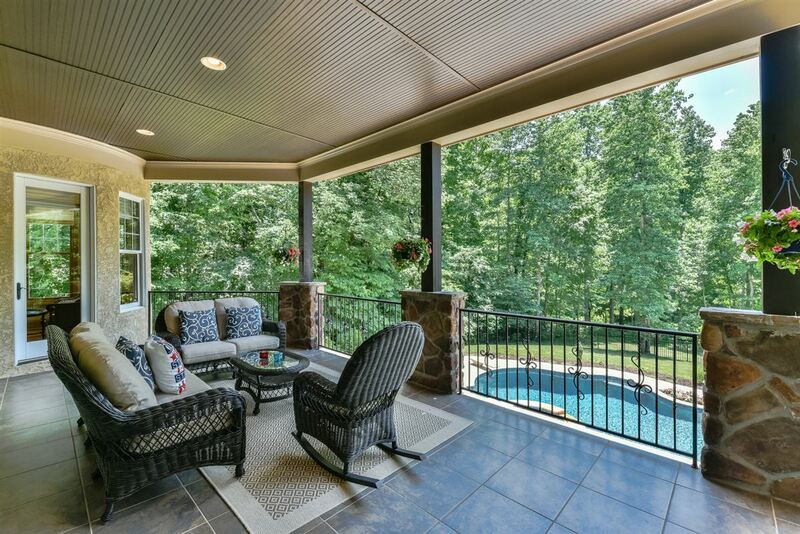 The great room has a custom stone fireplace and incredible views of the backyard retreat and woods beyond. 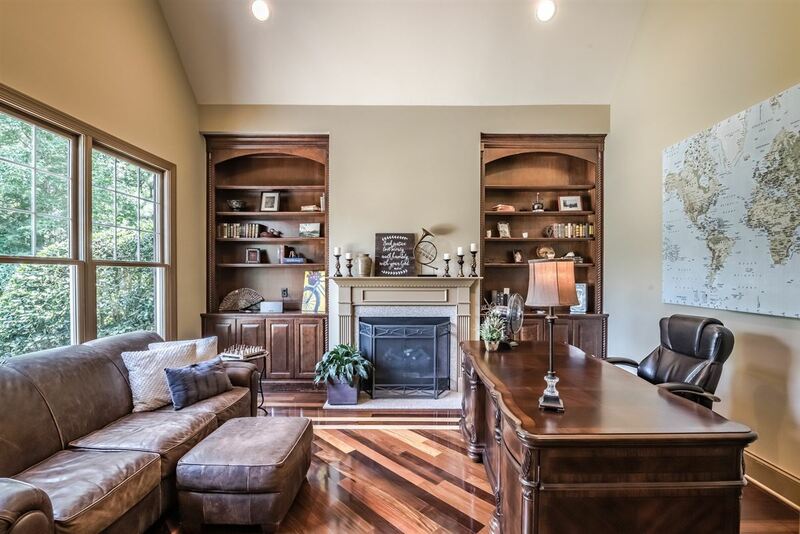 A private study with fireplace and built-in bookshelves and a formal dining room are off the grand foyer. 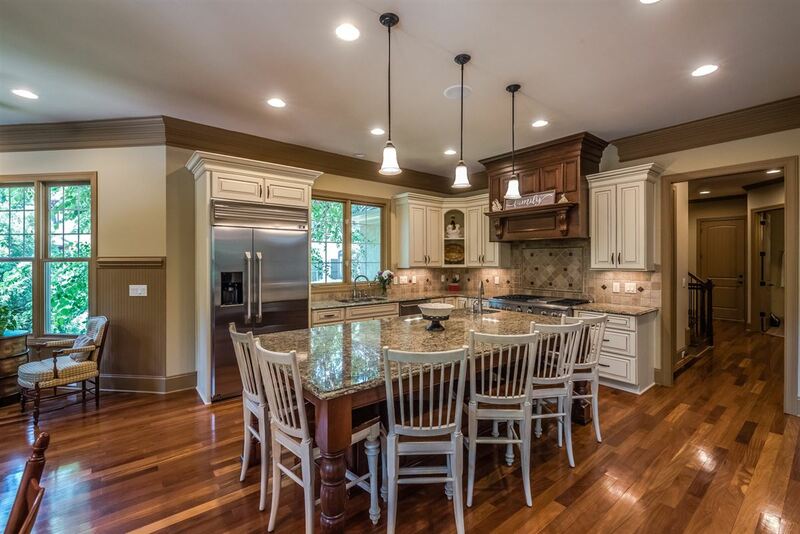 The gourmet kitchen boasts an oversized granite 9 X 5 ft Island that can accomodate six, an oversized refrigerator and a six burner gas range. The kitchen opens to a cozy keeping room with a fireplace. A spacious master suite on the main level has luxurious master bathroom with dual head walk-in shower, soaking tub and his and her custom closets. On the upper level are three large bedroom suites each with their own private full bathroom and walk-in custom closet. There is also a teen wing that has a bonus room, another large bedroom, a half bathroom and custom built-in desks great for doing homework. The outside living areas include an upper terrace, lower poolside patio, travertine decking, firepit and built-in grilling area. Stunning professional landscaping creates a private oasis. 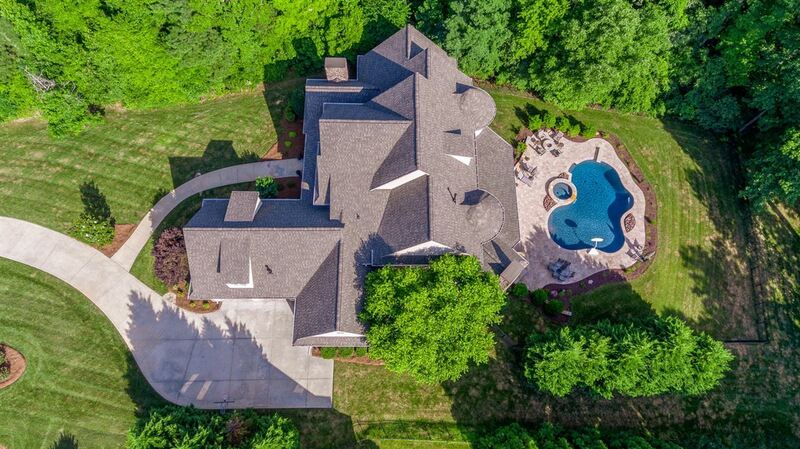 This home is listed for $1.35 million with Allen Tate Company, an affiliate of Luxury Portfolio International.